Money saving can come in the form of car-sharing, cutting down on luxuries and spending less on leisure activities. By improving the energy efficiency of your home, you can save money and also lend a helping hand to the planet too. It can be mind boggling getting to grips with going green, so here are six simple steps to improve the efficiency of your home and save some cash. Solar panels have become increasingly popular amongst environmentally-friendly homeowners over recent years, as they allow annual energy bills to be reduced by utilising a renewable source – the sun. 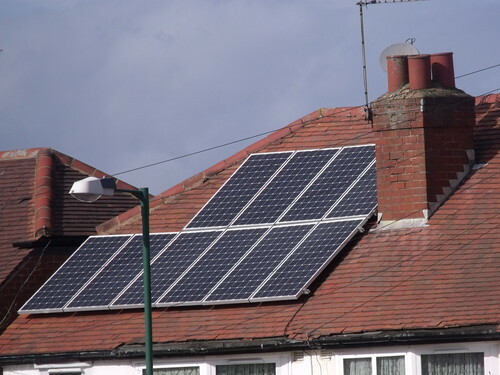 Homeowners can also receive payments from energy companies for surplus energy generated from the feed-in tariff established by the government. Heat pumps, also known as ground source heat pumps, turn residual heat from the ground into energy to supply warmth and hot water to a home. These systems work by a loop of pipes, called a ground loop, buried in the garden of a home. This extracts heat from the ground and pipes it into a home. As the temperature remains relatively unchanged, the system can be used all year round. By installing a heat pump, the cost of household bills can be cut as the energy that would usually be purchased from a supplier is replaced by a renewable source that is generated on-site. Homeowners with heat pumps may also be eligible for a pay-out from the government, through their new Renewable Heating Incentive, which is due to be opened in early 2014. Poorly insulated walls and lofts are to blame for the loss of a third of household heating, so addressing this issue could save households money almost instantly, reducing heating bills and energy use. Loft installation is easy to install (takes only 2- 3 hours) or can be professionally installed. The Energy Saving Trust recommends a loft insulation depth of 270mm – if you already have insulation but it is below this level, you can still pad it out to increase your energy efficiency and therefore the savings. Upgrading from 100mm insulation to 270mm can potentially save you around £25 a year on heating bills. 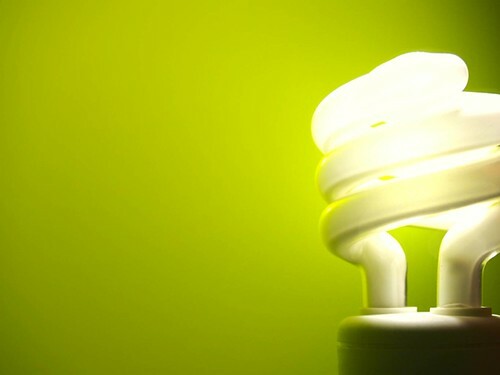 Energy saving light bulbs were perhaps one of the first major steps towards increasing widespread awareness of responsible energy usage within the home, and have been backed by the government as an effective way to improve efficiency. LED bulbs can last up to 20 years and use a fraction of the energy that the standard bulbs did. This means that homeowners will be spending less on buying replacement bulbs, as well as burning less energy by using energy efficient light bulbs. Improving the efficiency of lighting in a home doesn’t have to just stop at bulbs – you can also choose to install lighting sensors. These sensors work by detecting when there is movement in a room and automatically switching lights on and off depending on whether the room is being used or not. This can avoid the countless times that bedroom and bathroom lights are left on (usually by energy unaware children and teenagers) by shutting off lights when occupants leave the room. It is recommended to install these sensors in a mid to low traffic room, as you won’t really benefit from the extra efficiency if they are used in a room that is in constant use. 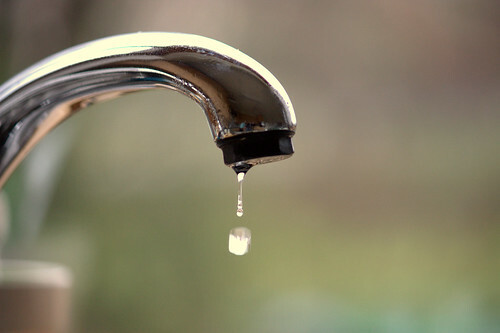 The cost of water bills is set to increase by 3.5% during the 2013/2014 period, so using every drop as efficiently as possible may be a concern playing on the minds of many. As an alternative to paying a higher price for water from a supplier, you could choose to install a water tank for your home. A water tank works in a similar way to solar panels, as they both utilise an abundant and renewable natural energy source. The tanks collect rainwater and store it for use by a household, which reduces the amount of supplier water that is used, and in turn the water bill. By implementing these tips, you can begin to see the benefits of a more energy efficient household, which can include not only lower bills but also a more eco-friendly living environment. Rosie Percy is a writer interested in areas such as business, health and environment issues. Rosie lives and works by the seaside in Brighton. For more information from Rosie on improving the efficiency of your home and save money click here.